A therapeutic, full body massage that relaxes every part of your body. From head to toe feel the tension release and your soul calm by the aromatherapy scents, sounds, and long relaxing strokes. The pressure between a Swedish and deep tissue massage that has both modalities incorporated to relieve stress and receive total relaxation. A massage focusing on the stressful areas of a pregnant woman’s body such as the legs, the lower back, and neck and shoulders. It also moves fluid that collects, prevents blood clots, and moves more blood and nutrients to the baby. A firm massage done with warm lava rocks that penetrates muscles deep to further aid in relaxing aching muscles. The heat penetration combined with a firm muscle stretch is a wonderful combination to effectively release stressed muscles. A soft tissue manipulation that is concentrated finger pressure to “trigger points” to break the cycle of spasm and pain. By working on trigger points, it is often possible to relax an entire area. Meditation for a chronically stressed individual. It is a light massage, very slow, and concentrated. Energy work and head, neck, and shoulder massage performed to relieve headaches. A quick massage that is done in a chair for convenience and quick relaxation. Mostly done at events and offices. Salt or Sugar scrub is used to exfoliate your feet and cleanse them of the dead skin and dirt after a soak. Then your feet and lower legs are massaged to complete the pamper session for the feet. For hands they are soaked as well followed by an arm and hand massage. California State Law does NOT allow massages to be performed between the hours of 10pm - 8am. Quick facial cleanse to prep the skin for makeup application. Includes a double cleanse and moisturizer. *makeup application not included. A mini facial that includes a cleanse, exfoliation, toner and, moisturizer. For the person on the go. This is your standard basic facial. This service will include a double cleanse, exfoliator, face massage, mask, toner, and moisturizer. Your skin will be evaluated for the appropriate facial. 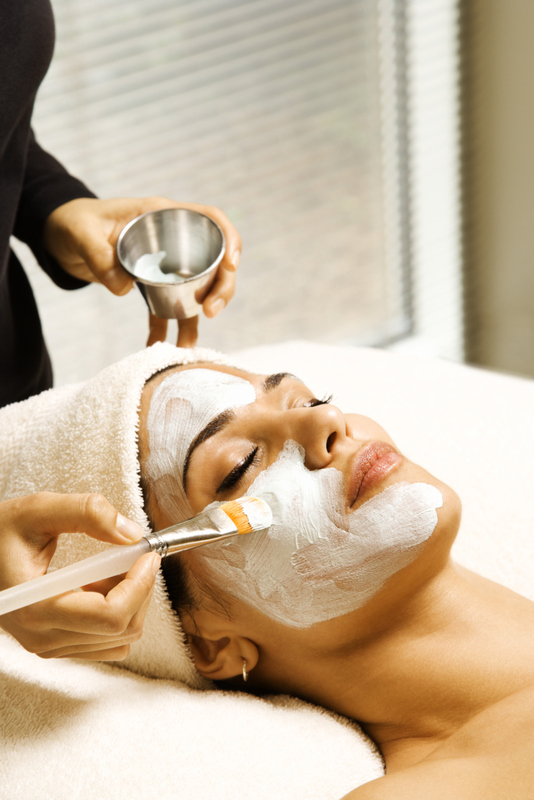 This is a facial that includes a double cleanse, exfoliator, mask, massage, toner, and moisturizer. The massage that is offered is extended to include other parts of the body such as chest and arms. This facial is more focused on relaxation. This facial is the complete works. Double cleanse, exfoliator (manual or chemical), extractions, mask, (relaxing) massage, toner, and moisturizer. *This service is recommended for detailed work for problem skin.